Thai International is the latest airline to sign up with AeroMobile for its future passenger airborne connectivity services, which uses the Panasonic eXPhone system. Nigerian air transport was thrown into disarray last week with the decision by Arik Air’s Executive Board to temporarily suspend all domestic operations. This follows what the airline calls “unwarranted actions” by the Ministry of Aviation and The Federal Airports Authority of Nigeria (FAAN) which it claims is disrupting domestic operations and the airline’s customers. Having commercially failed with its Connexion project, launched 10 years ago, but much praised by users, Boeing is to use its experience with in-flight passenger communications for its current and future aircraft model range. 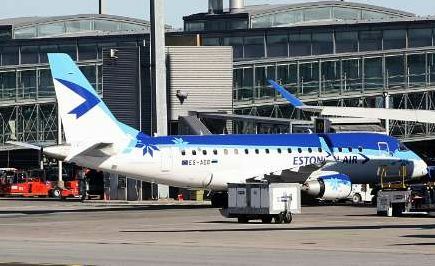 With the Embraer e-series regional jets now established as the carrier's front line aircraft, Estonian Air is to transfer its allegiance from Gatwick to London City Airport it was announced at ERA Dublin last week. The operation remains single class with the current leased Boeing 737-500 returning to its owner. Ed Winter, Chief Executive of FastJet, is one of a number of industry leaders who will be visible at this year’s World Travel Market, 5-8 November at London’s Excel. 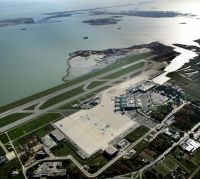 The budget airline is expected to introduce services during that month with its first base at Dar es Salaam (Tanzania). 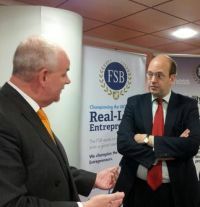 easyJet founder Sir Stelios Haji-Ioannou is playing a prominent role. 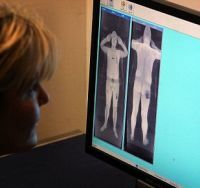 The trial of Manchester Airport’s 'naked' body scanners will end in October when testing will also begin on a new generation of privacy friendly security machines. Washington DC was recently chosen by American Airlines and Boeing to showcase an aircraft termed the ‘ecoDemonstrator’, a specially modified Next-Generation 737-800 highlighting the testing of environmentally progressive technologies. NATS, the UK’s provider of air traffic services and solutions, has signed a contract with British Airways to lead a pioneering project trialling environmentally ‘perfect’ transatlantic flights. New Doha International Airport, which was due to open 12/12/12, now has a target date of June 2013 according to reports from the Gulf state. This follows the dismissal of Lindner Depa, an interior fitting joint venture between Dubai-based Depa and Germany's Lindner. 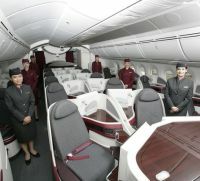 Akbar Al Baker, who is chief of both the airport and Qatar Airways, is well known for his attention to detail and this is also reflected in the late delivery of the airline’s first Boeing 787. The second Airport Leadership and Change Management Forum, taking place in London 18-19 October, will be opened by Daniel Moylan, Advisor on Aviation to Boris Johnson, Mayor of London. 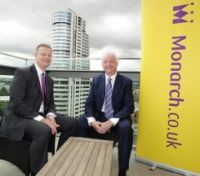 Now calling itself a ‘scheduled leisure airline’, Monarch, based at Luton, recorded exceptionally strong passenger numbers in August 2012 with more than 748,000 customers travelling to hotspots across Europe and the Mediterranean. British Airways CityFlyer has introduced route number 23, from London City Airport to Venice Marco Polo, and has now been confirmed as the largest operator at the docklands airstrip, both with passengers carried and flights operated. 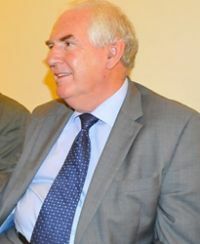 Ken Brookes, journalist and publisher, and a former President of the Chartered Institute of Journalists, is a cruise fan (see BTN 30 January 2012 and 25 June 2012). 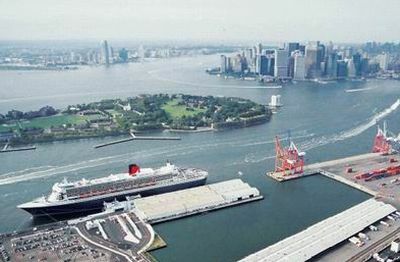 He recently flew to New York and came back on the Cunard flagship Queen Mary 2. Some may argue this is the wrong way round. It is also the more expensive way to cross the Atlantic from the UK with APD paid for on the outward leg. 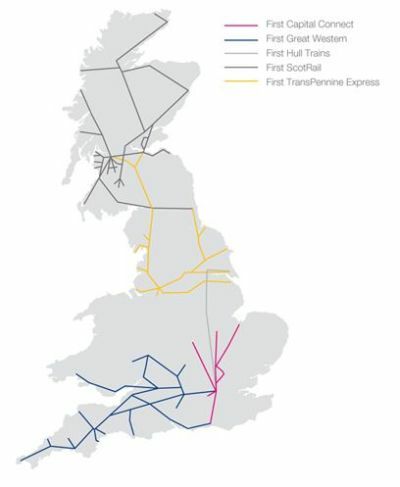 You also get 25 hours on each of five days westbound, and 23 hours eastbound. And as Ken explains the clock change is somewhat unique. Dotted around QM2 is a wonderful gallery of the famous who travelled on her Atlantic Blue Ribbon holder predecessor up to the time she retired in 1967. Ken busied himself somewhat on the ship with the result that a quiz has been added at the end of “Cruise News” which readers of a certain age might enjoy. No prizes as the answers can be found at QM quiz result. During a recent restaurant meal a fellow diner was agitated when a waiter brought him his coffee but had forgotten the spoon. "This coffee," he said loud enough for most of the other patrons to hear, "is going to be pretty hot to stir with my fingers." The embarrassed waiter made a hasty retreat to the kitchen returning shortly with another cup of coffee. "This one isn't so hot, sir!" 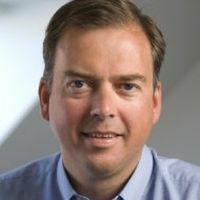 Just click "Read full article"
Following the recently decision of Steve Ridgway to step down as CEO of Virgin Atlantic Airways (BTN 10 September), Greg Dawson, Public Relations Director, is leaving to join Samsung Electronics as European Communications Director. Dawson will report to Stephen Taylor, Samsung’s Vice President of Brand for Europe. His new role, covering 16 European markets, includes external relations, internal communications and public affairs. 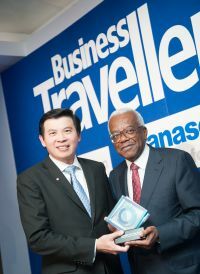 Changi and British Airways gained the Best Airport and Best Airline at the Business Traveller awards event last week, once again hosted by Kensington’s Royal Garden Hotel. For Singapore’s main airport this is the 25th consecutive year that it has won first prize in its category. 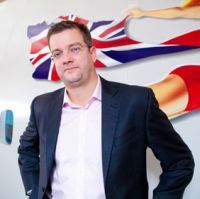 Speculation was rife at the event whether the ending of the British Airways – Qantas relationship meant a re-appraisal of BA’s commitment to the airport. Currently it is just one through flight per day. It used to fly to all the Australian State Capitals. For the complete list click below. It may be confusing but the BM two-letter code, which never existed, is to happen. The old British Midland Airways Group operated as BD, which was always somewhat odd, and a cause of problems. 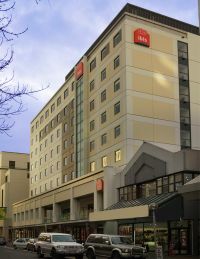 IATA has agreed the designator BM for bmi regional now owned by Sector Aviation Holdings Ltd.
Ibis Christchurch is now welcoming guests, becoming the first central area hotel to re-open since a devastating earthquake hit New Zealand's South Island city in February 2011. 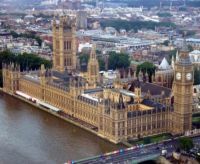 With the imminent introduction of allocated seating on every flight (BTNews 10 September) easyJet has stepped up its campaign to lure Britain’s Parliamentarians onto its services and away from established carriers. Lufthansa will merge its European and German domestic routes under a new low cost brand from next year, hoping to improve profits and fend off growing competition from low cost carriers. The whole operation will be structured around the current Germanwings set-up based at Cologne and will encompass about 90 aircraft. Not for the first time Ryanair is in trouble with the ASA (Advertising Standards Authority). A national press advert in February was headed "Malmo with Ryanair £14.99 one way". In spite of well publicised difficulties with the small Armenian airline Armavia, Sukhoi continues to deliver its Superjet 100 to major customer Aeroflot. The airline has 30 of the 100-seat regional jet on order (+15 options) with number 10 the latest arrival. The manufacturer also suffered the loss of an aircraft in May 2012 whilst demonstrating to potential Indonesian customers. However, whilst a full report has not yet been published, this looks likely to indicate pilot error.